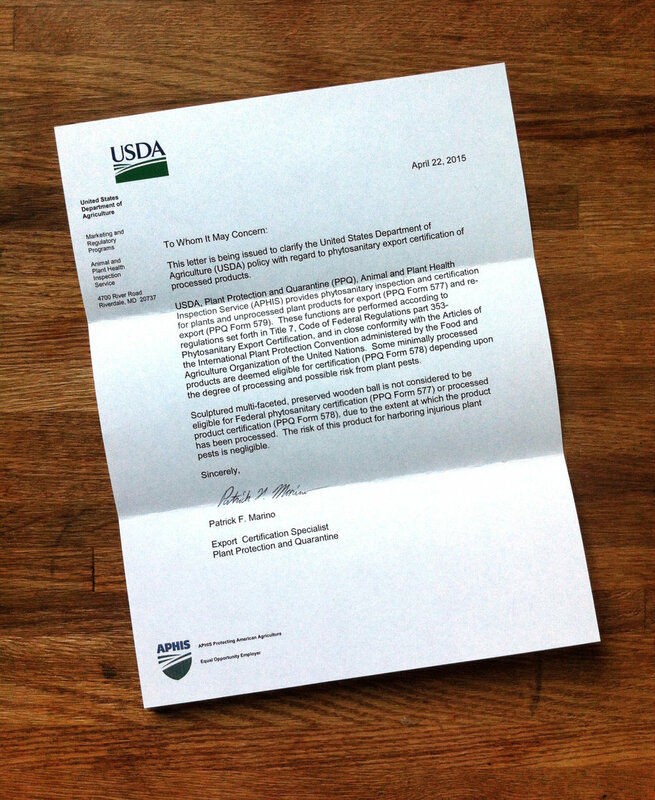 After just one week, I received this letter from the USDA stating that the GLOBALL is “ineligible” for certification. That’s a good thing! This means, because of the way it’s processed, it doesn’t have to be inspected and I don’t get charged. It can exit the US once without any problems!! Our government working for us!